Enjoy these fun San Diego events May 2019. Don't forget Mother's Day - Sunday May 12 2019. Why not invite mom out for something fun this year? 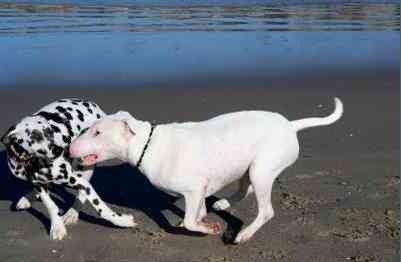 May is a great month for fun outdoor activities in San Diego, The weather is nice (well it is nice most of the year! ), and the summer crowds don't start to arrive until Memorial Day weekend. 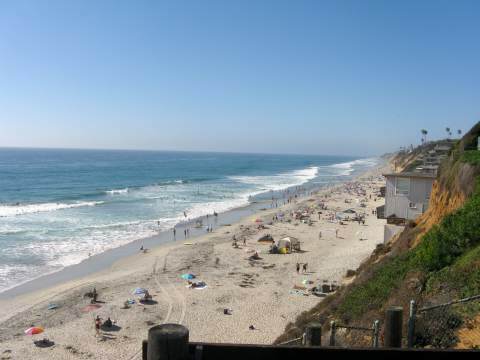 Are you thinking of some plans for Memorial Day weekend in San Diego? This year Memorial day is on Monday May 27 2019. 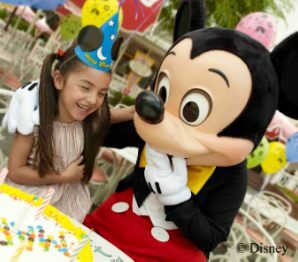 Disneyland - Visit Disneyland and get a dose of fun, all Disney style. Star War fans will like Hyperspace Mountain, more Star Tours rides and Star Wars: Path of the Jedi. Find out how to buy Cheap Disneyland Tickets. Coronado Bay Bridge Run/Walk - Sunday May 19 2019. Once a year, pedestrians are allowed on the Coronado bridge during the annual Bay Bridge Run/Walk, sponsored by the US Navy. Amazing views. 4 miles from San Diego to Tidelines Park. 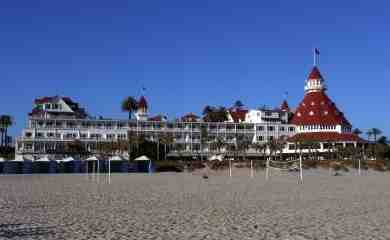 California Weekend Getaways - Looking for some weekend vacation ideas? Check out these best California weekend getaways. Fish Tacos at Rubios - Enjoy fish tacos at the original Rubios's on Mission Bay Drive, or on Grand Avenue near Pacific Beach and Mission Beach. Spend a day exploring these beaches. California Tower Tours - See the fantastic views from The California Tower, in Balboa Park at the San Diego Museum of Man. The tours opened in 2015 after being off-limits to the public for the last 80 years. Advance reservations required. Includes admission to the Museum of Man. Ocean Beach Kite Festival - Saturday May 11 2019. Join in the fun at the annual Ocean Beach Kite Festival. Crafts fair, food, and make your own kite to take to the beach for kite flying (free for kids). Great kids activity. 10 AM to 4 PM, at Dusty Rhodes Park. One of the best San Diego events March. Temecula Wine Tasting Tours - Enjoy a wine tasting tour in beautiful Temecula Valley. A romantic weekend adventure awaits you. See Temecula Wine Tasting Tours. Carlsbad Village Faire - Sunday May 5 2019 from 8 AM to 5 PM in Carlsbad, CA. Features over 850 unique vendors, making it the largest street festival of its kind in the county. Art fair, arts and crafts, antiques, jewelry, unique clothing, food, fun kids activities and more. On Carlsbad Village Drive west of Interstate 5. Sunday Brunch at the Del - 9:30 AM to 1:00 PM Continuously voted San Diego’s best brunch by San Diego Magazine and The San Diego Union-Tribune readers, The Del’s brunch has long been a local favorite. Please call 619.522.8490 for reservations. Carlsbad Flower Fields - early March through May 12 2019 from 9:00 AM – 6:00 PM. Visit the spectacular 50 acres of Flower Fields overlooking the Carlsbad, Cali coastline, open daily from March 1 through Mother's Day (Sunday May 14 2017). Special events most weekends. $14 for adults, $7.00 for children. For more information see Carlsbad Flower Fields. Tiger Trail at Safari Park - Enjoy Memorial day weekend at the zoo's wild animal park, including the new Tull Family Tiger trail at the San Diego Zoo Safari Park. See the 6 tigers in their new home and explore the rest of this beautiful wild animal park. 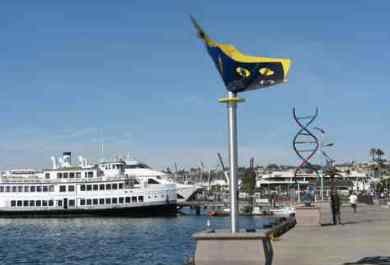 Legacy Week at USS Midway - tentative May 24 to 27 2019 at the USS Midway, San Diego Embarcadero. The USS Midway’s annual Legacy Week celebration for Memorial Day weekend will feature a variety of family activities and special programs. USS Midway Legacy Week Memorial Day Celebration. San Diego Century Bicycle Tour - May 18 2019 North San Diego County. Choose from three different courses – 37 miles, 66 miles or 103 miles. Register now or 6:00 AM on day of race at Mira Costa College in Encinitas Cali. More fun activities in San Diego - For more San Diego events in May, check out these Activities in San Diego and 101 Activities at the Beach.